Join us as we stand in solidarity with the friends and family of Tamir Rice on the 1 year anniversary of his killing. 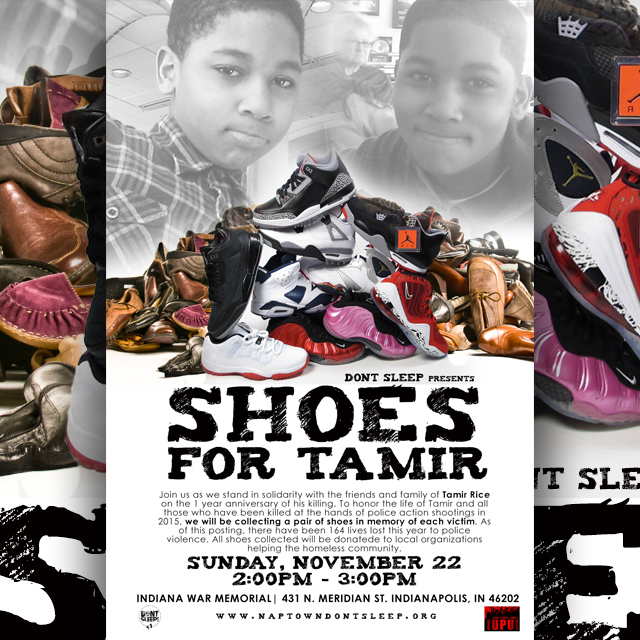 To honor the life of Tamir and all those who have been killed at the hands of police action shootings in 2015, we will be collecting a pair of shoes in memory of each victim. As of this posting, there have been 164 lives lost this year to police violence. All shoes collected will be donated to local organizations helping the homeless community.